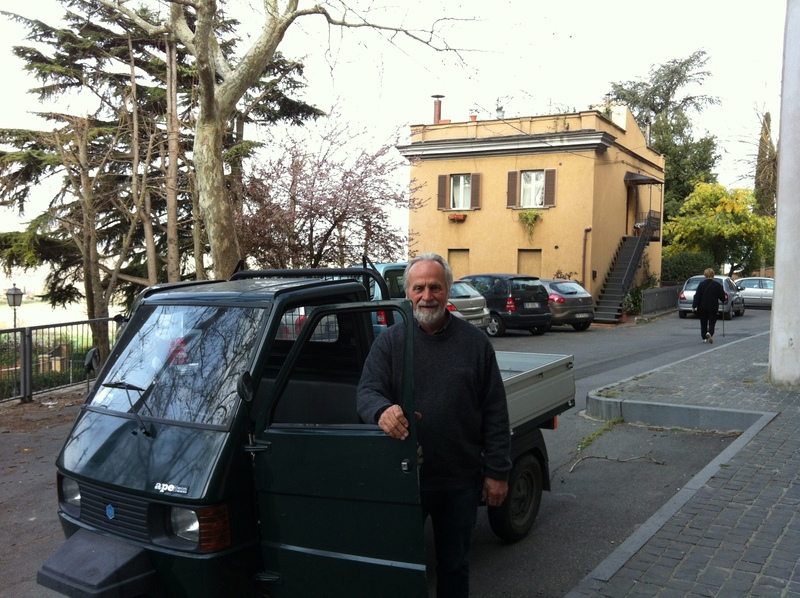 I don’t know why, but the sight of my friend Brian “putting” about Orvieto in his 2000 forest green Piaggio Ape makes me smile. Perhaps it’s because he’s such a distinguished and elegant Englishman that the visual of him in that little Italian pickup truck (“ape” means “bee”) creates a contrasting effect – as if one is looking at an enigma. But once you get to know Brian you’ll discover the many facets of his personality: father, grandfather, friend, soul mate to the lovely Antonella, and an adventuresome, rugged, country-boy-at-heart hobby farmer. 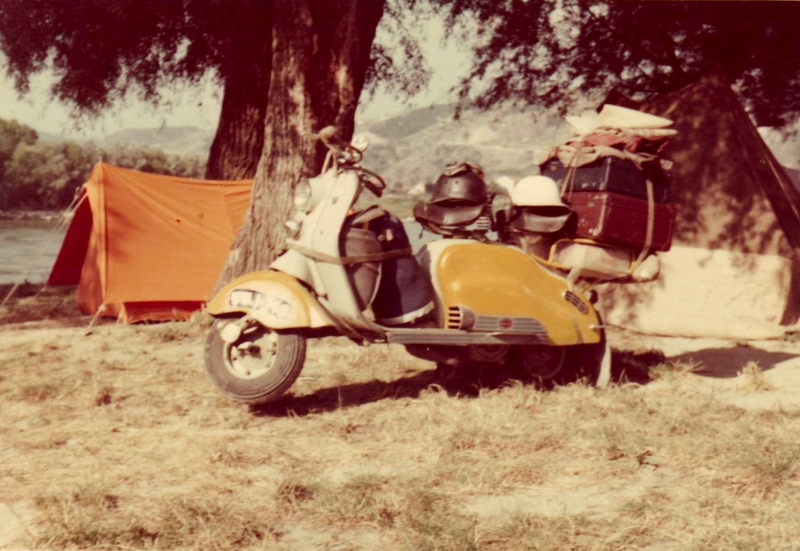 I got to wondering about how Brian happened to land in Italy, so on one of our morning jaunts around the Rupe I asked him, and he graciously agreed to spin his wonderful tale of two teenage boys, a yellow and grey 150 LD Lambretta scooter and 4,000 kilometers of roads that began the dream to live in Italy. Just sixteen and eighteen years of age respectively, he and his friend Michael Williams set out from Rotherham, England for Italian parts unknown. It was 1957 (a very good year) – a decade post-World War II when Italy was a much different country than it is today. He remembers it as a simple and innocent time. The exchange rate to lire was good, the girls were pretty and exotic, and the boys’ youthful exuberance and open hearts bought them life lessons you couldn’t pay a million euros for today. Per esempio, a collision with the back of a tractor ended amicably with a “wine” summit on the tractor owner’s portico. Both parties agreed to assume equal fault in the matter with just a gentleman’s handshake, a “grazie” and a “ciao”. As with most journeys, this one came to an end and Brian dutifully returned to England to join the family’s tile business. When it came time for a trade course, his father sent him off to Malmö, Sweden – knowing full well the risk of sending him to the training in Modena, Italy – Brian might never have returned! 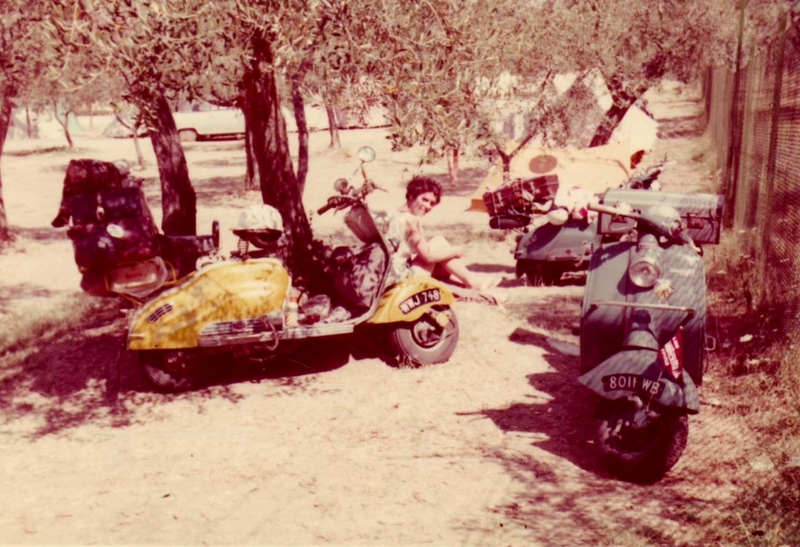 Brian worked hard and raised his family, venturing back to Italy whenever he could. 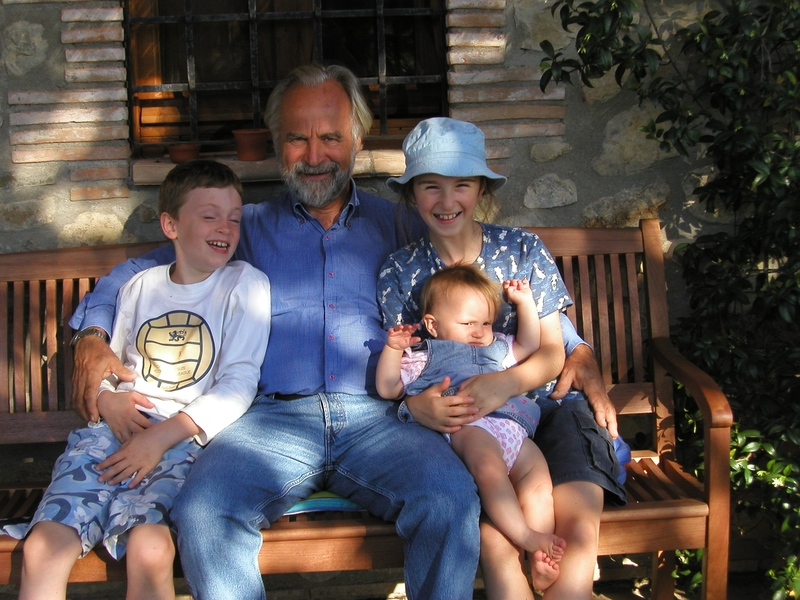 With his children grown and his tile business sold, he retired at the young age of 51 and made a “bee” line straight for Italy where he has now lived for 21 years…and counting. 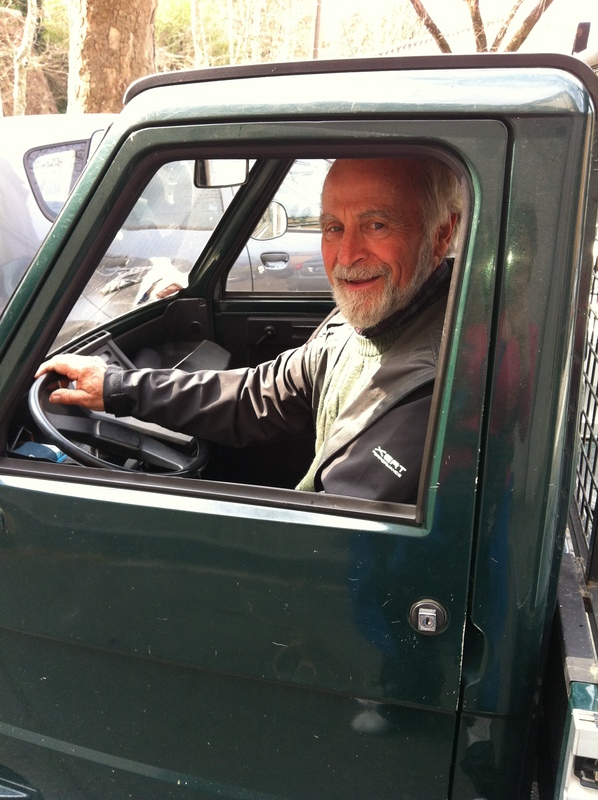 Although today he drives around on three wheels instead of two, I think it would be safe to say that life in Italy is very sweet for Brian and his little Ape. This is a very European story. The freedom of movement brought on by the EU means that this kind of thing will be replicated again and again. What a wonderful tale of adventure, travel, passion and a dream come true! Loving your posts, Toni!!! Orvieto is a major love for me, too! !